. Motor in Stockwell | verture . net . 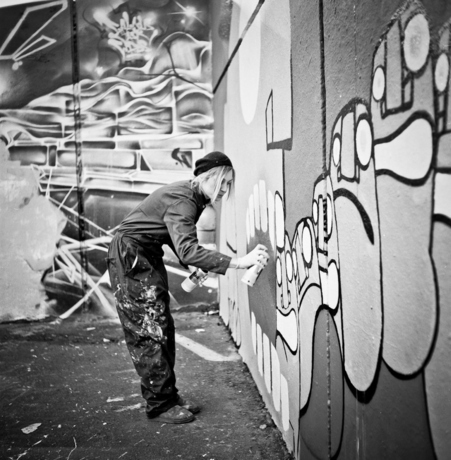 Motor is a street art/graffiti painter from Copenhagen, now living in East London. 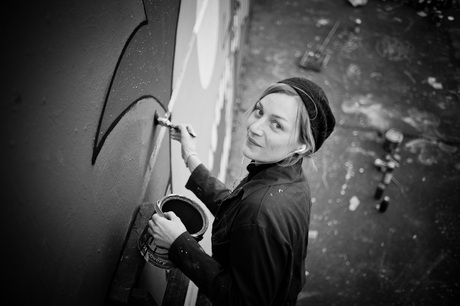 This last weekend she was painting in Stockwell, and I went to take a few photos, and wish her a Happy New Year. I hope to tag along to more painting sessions in 2012 with her and Solo One.